A few hours after yesterday’s partial release of Chrome OS 69, our friends over at Android Police alerted me that their Pixelbooks were getting the update despite being left out of the initial update. Most of our devices around the office are on Developer or Canary so we hadn’t noticed. Thanks to @RyneHager for the heads up. @GabrielBrangers FYI, our Pixelbooks are getting v69 here at Android Police, if you wanna update your list. A quick look at the Chrome update server revealed that the Pixelbook wasn’t alone in the subsequent roll out. Below you will find the Pixelbook and fifty other Chrome devices that are now on the latest version of Chrome OS. 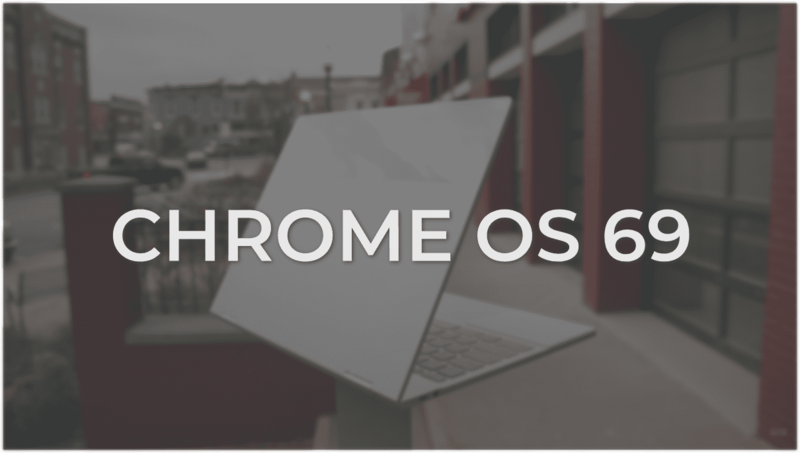 We’ll be breaking down all that’s new in Chrome OS 69 over the next couple of days but here are some interesting tidbits to take note of when your device updates. This behavior will be familiar if you use an Android phone. 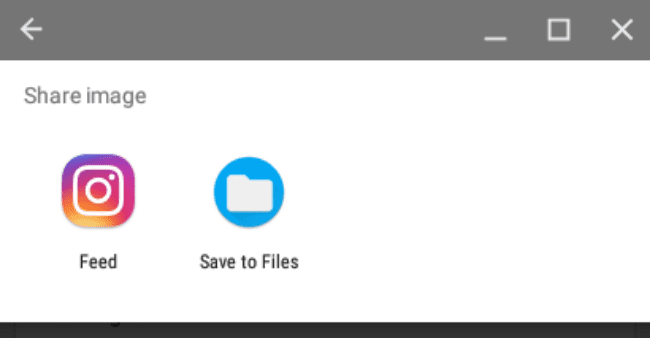 Now, when you click the share icon inside of an Android app on Chrome OS the “share sheet” will pop up and include the Chrome OS files folder as an option. The feature is live and enabled as you can see in the image below. Another thing we noticed, albeit subtle, can only be seen when you are setting up or have powerwashed your device. The OOBE(out of box experience) screen has been updated with a new Material Design look but if listen closely to the video below you’ll notice a soft chime that sounds just like the Google Home does when it powers on. (sorry for the wonky video. It was late and all I had to record was my phone.) You’ll want to turn up your volume to catch the chime. We still haven’t seen a device with the Assistant enabled apart from the Pixelbook and honestly, this could just be Google’s way of creating continuity between platforms but it still gives you the feel that Chromebooks could soon gain full Assistant functionality. Check back soon for more on what’s new in Chrome OS 69. Find something new in the update? Drop a comment below or shoot us an email so we can share.